Philip B. Kerr. Una llama misteriosa. Barcelona: RBA, 2009, 432 pages. Translated by Marta Pino Moreno. ISBN: 9788498676624. 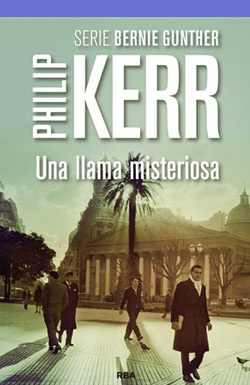 Spanish translation of the original title: Philip B. Kerr. A Quiet Flame. Quercus, 2008. Published in Spanish by RBA.